As General Motors dealers already know, effective Oct. 15 of this year, all new 2018 and 2019 GMC, Buick, Chevrolet, and Cadillac vehicle owners have the option of purchasing an extended bumper-to-bumper warranty. The new warranty coverage is designed to match GM's existing powertrain warranty of five years or 60,000 miles on Chevrolet and GMC vehicles, or six years or 70,000 miles on Cadillac and Buick vehicles. This new extended warranty is the first of its kind, and offers something invaluable to customers seeking a reliable vehicle – peace of mind. "One of the things about buying a new vehicle is the peace of mind that comes with the warranty," said Ken Mac, director of Chevrolet, Buick, GMC, Cadillac Protection. "Now, we're offering people the opportunity to increase the duration of their bumper-to-bumper warranty far out into the future." If you have a GM store, the extent of this new warranty coverage not only gives your customers peace of mind, but gives you the ability to take advantage of an exceptional selling point. Because the warranty stays with these vehicles, it could also potentially increase residual values. 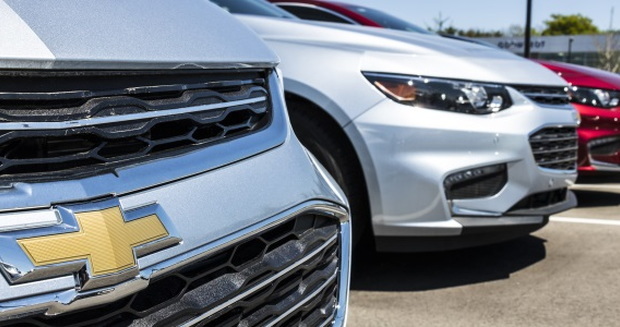 "We believe this could be a selling point from the original vehicle buyer to the second vehicle owner," said Rita Kass-Shamoun, a GM spokesperson. Unlike a typical service contract, this new warranty allows for repairs without the need for filing a claim, and is accepted nationwide at all Chevrolet, GMC, Buick, and Cadillac dealerships. Additionally, the option can be included in the overall vehicle price, so it can be folded into any loan or lease upon request. As a dealer, you're free to set the pricing. However, GM recommends pricing it from $1,000 to $2,000, depending on the model. Who –Make sure your customer knows who is backing the product, whether it's the manufacturer, as is the case with the GM extended bumper-to bumper warranty, or an outside provider. Also, make sure your consumer understands the difference between the two. What – Let your customers know what's included in the warranty coverage. First-time buyers may not be familiar with the difference between a bumper-to-bumper warranty and a powertrain warranty. This means they may not understand what a great deal GM's extra coverage offers. Why – It's up to you to set customer expectations. Make sure they know why purchasing an item like GM extended coverage is important, and what it could do for them in the long run. Where – Highlight the fact that a warranty such as this can be taken to any GM dealer with no questions asked. If you're offering other vehicle service contracts, make sure the consumer knows where they can and can't take their vehicles for service. When – According to IHS Markit, people who buy cars typically keep their vehicles for six or more years. Make sure your clients know when the GM extended warranty is effective, and for how long. This true extended coverage from GM should keep a customer covered for most, if not all, of the time they have their vehicle. If you're looking for more customers to come through your doors, you want the most loyal customers you can get, and Auto Credit Express can help grow their numbers. As a top subprime lead generator, we've been helping dealerships bring qualified customers into their stores for more than 20 years. For more information on how we can help your business grow, contact us at 888-535-2277, or fill out our online contact form and we'll get in touch with you! Should You Offer Used Car Lease Options?